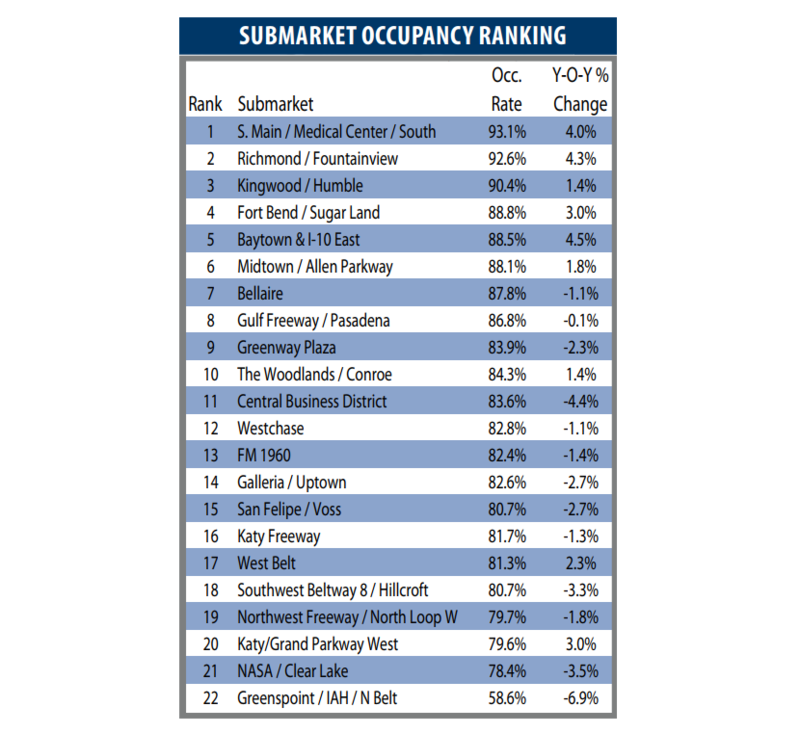 ​​​HOUSTON-THE WOODLANDS AREA – PMRG released its "Market at a Glance: Houston Office Market, Q4 2017,"​ which includes this Office Submarket Occupancy Ranking (shown below) and the Rental Rate Ranking. ​Check out more Houston-The Woodlands-Sugar Land​​ Office Market Research. Click here to visit PMRG's site.